Buster is missing! Please help find him! 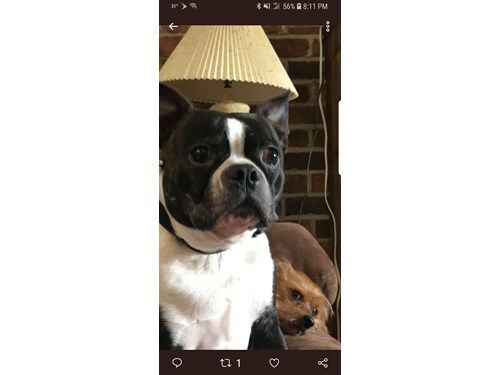 Buster is a 5 year old Boston Terrier. He was last seen with a blue collar on. He is friendly, but he is likely to run away if you go up to him. He was last seen at Mahoning County Country Club. If seen please call 866-699-3463.